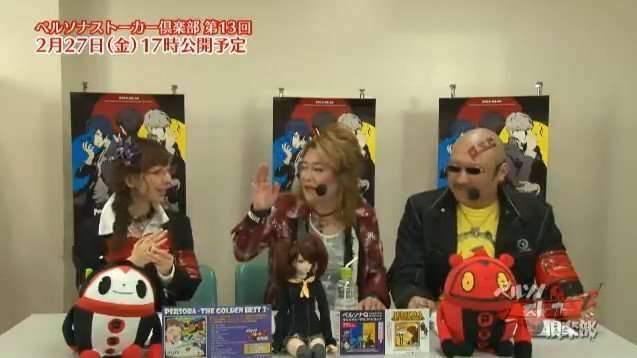 Following episode 12, the next episode of the Persona Stalker Club talk show has been announced for a February 27 release, with a preview video. 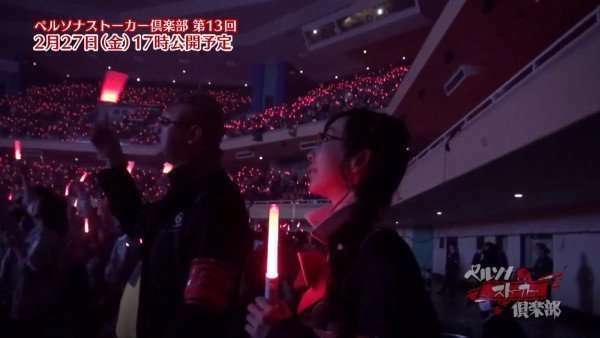 Episode 13 of Persona Stalker Club will mainly be an edited version of the “Special Nippon Budokan edition of Persona Stalker Club” which was broadcast during last week’s News Flash! 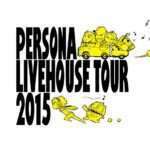 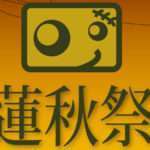 Persona Channel 2015 live stream, and which featured special guests Yumi Kawamura and Lotus Juice. 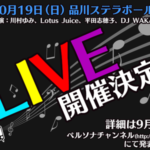 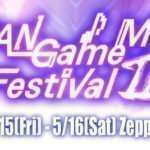 There will also be new footage during this episode, such as hosts Mafia Kajita and Tomomi Isomura being in the live audience as Persona 5 was announced on stage, and behind the scenes footage from the concert.